Discussion in 'Prewar' started by Maureene, Jun 27, 2017. The description of the video says North-West Frontier, South Waziristan in 1937 AD. Film shows various military scenes, including numerous scenes of the RAF in action, bombing, shooting and dropping leaflets in Waziristan. Also includes scenes of Indian Army in the field, Waziristan. One of the comments under the video description says: Is this amateur footage made by Group Captain Robert Lister of the RAF? The problem is that the BBC program video does not open for me. I do not know whether this is because I do not have the software to view it, or because I am not in the UK, or because the BBC link is from 2010. Is anyone able to view the video in the BBC link? However there were other airmen taking films, eg Air Commodore Leonard de Ville Chisman whose films are described here , including details about the actions against Faqir the of Ipi. This post was a timely reminder that it's 80 years exactly since my father served in this Campaign on the North West Frontier with the Royal Norfolks. They were on road protection duties which entailed running up and down the khudsides (hills) as the convoys passed through ensuring they weren't ambushed by the tribal Pathans. A very hard-earned Indian General Service Medal indeed! This is my father seated in a sanger. bamboo43, dbf and Tricky Dicky like this. The only way it has worked previously for me is to have someone in the UK record it, and then send me a file, either over the internet or via a disc. There was series and I missed the last episode, so asked a friend to download it for me, perhaps someone on here who is UK based could do the same for you in this instance. If you are outside of the UK (I'm in the US) you can access the content on BBC iplayer via a VPN, some of which are free and can be downloaded. On a side note, I travelled through the North West Frontier tribal areas in 1977. It was like something out of a Clint Eastwood movie and the most lawless place I've ever been to. I was traveling by bus and after driving through the Khyber Pass from Afghanistan, we came across the border at Torkham. As soon as we arrive on the Pakistan side, we were surrounded by tribesmen wanting to sell us guns, heroin and exchange money. After politely declining we entered the center of town where almost everybody is carrying a gun. All along the sides of the street are these little workshops where the tribesmen are busy making arms (handguns, rifles, machine guns, you name it). They're all trying to get us into their shops to buy guns. One guy even comes out into the middle of the street with a machine gun asking us if we wanted one, then proceeds to demonstrate it by shooting off about 20 rounds into the air. Of course we're all ducking for cover while the locals, not even batting an eyelid, just nonchalantly carry on their daily business like it's just another normal day in town. Owen and lionboxer like this. This book is an interesting read for those looking to know more about the RAF's involvement during the period. Though it's hard to find now. Great thread here. Always interested in the NWF and the history behind this border region. 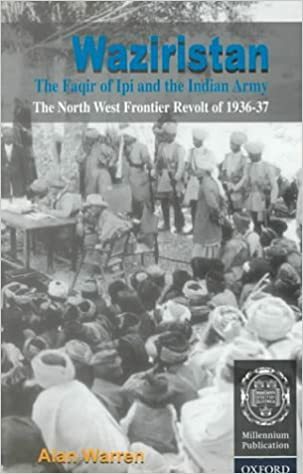 The FIBIS Fibiwiki has a page North West Frontier Campaigns, which covers most periods, and contains may interesting links including online books. Francis Stockdale was deployed to Waziristan in 1919. He was a temporary R. E. officer and served late 1919 to Dec 1921. His book Walk Warily in Waziristan is the subject of a BBC News article . John Morris served as an officer in the Indian Army with the 3rd Queen Alexandra’s Own Gurkha Rifles from 1918 until 1934 in Palestine, Afghanistan (the Third Afghan War in 1919), Waziristan and the North West Frontier of India. His autobiography Hired to Kill, Some Chapters of Autobiography was published in 1960. (London, Rupert Hart-Davis ). John Prendergast was awarded the Military Cross when serving with the Tochi Scouts(North Waziristan Transborder Armed Police) in May 1937. His books include an autobiography Prender’s Progress: a soldier in India, 1931-47. John Archibald Hislop was an officer in the Indian Army, 2nd Battalion 9th Jat Regiment from 1933. He had a series of postings on the North West Frontier. Subsequently he was GS02 Waziristan District until c.August 1943. His memoirs A Soldier’s Story-From the Khyber Pass to the Jungles of Burma: The Memoir of a British Officer in the Indian Army 1933-1947 were published by his daughter in 2010 and reviewed in FIBIS Journal 26. John Masters was an officer with the 2nd Battalion 4th Gurkha Rifles from 1935. 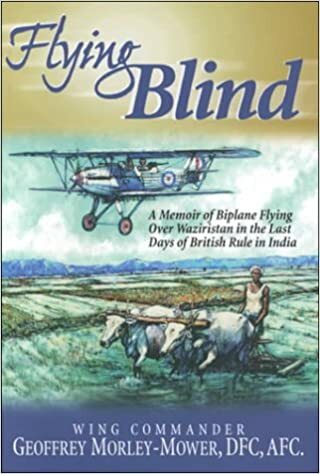 His autobiography Bugles and a Tiger was first published in 1956 and covers the Waziristan Campaign 1936-39. Graham F Reed was a junior officer in the Royal Signals Corps in his early twenties who was a Signals Officer with a Mountain Gun Regiment based at Razmak in Waziristan in 1945-47. His book is Walks in Waziristan. I just came across this. Group Captain Lister was my father. Some of the footage certainly looks like his, though not the army manoeuvers on the ground. Interestingly he appears in the final footage along with Gunga, his dog. At roughly 12.29 there is a black spaniel and a very slight young man. That is Robert Lister. Waddell, PsyWar.Org and Tricky Dicky like this. Welcome to the forum - anymore you can add?? One of the air proscription leaflets dropped in Waziristan. The red paper denoted that an earlier appeal had been ignored so an air attack had been authorised to take place in the coming days. bamboo43, Tricky Dicky and CL1 like this.